That's it for another year, Christmas is now over and it's always bitter sweet for me, I loathe the run up to Christmas, stress of what you are going to get for everyone, the cost involved and then the last minute nightmare of making the Christmas desserts which I do every year, this year I cheated and bought trusty M&S treats as I just couldn't face hours upon hours of baking and decorating. I love Christmas itself with all the scrummy foods and being able to just chill out for a few days before the new year begins. I hope you all had a lovely Christmas and spent some quality time with family and friends. 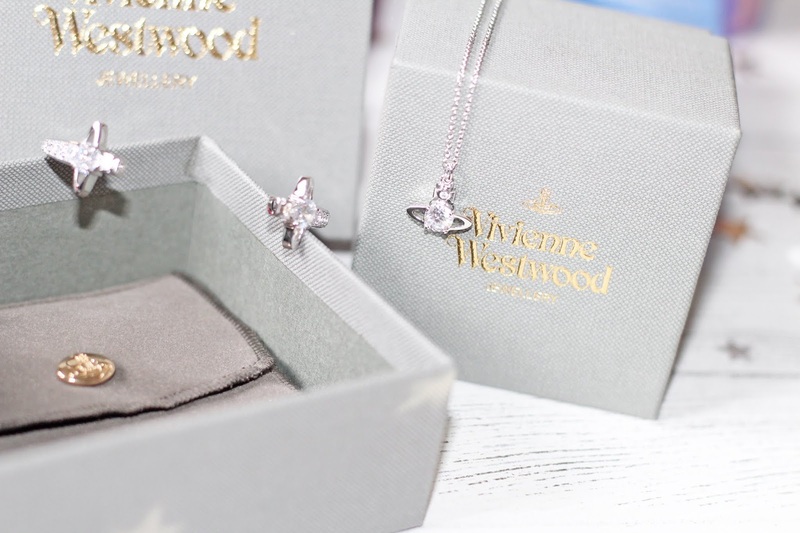 My husband bless him got me this beautiful Vivienne Westwood Necklace and Bracelet set which is just stunning and I can't wait to wear it albeit always feel a bit sick with expensive jewellery in case I lose it somehow! 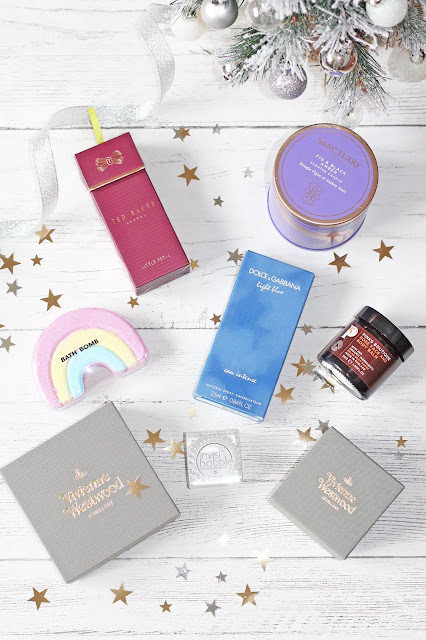 He always fills my stocking up every year with chocolate treats and little goodies like fluffy socks, a notebook, candles and hidden in there was the Dolce & Gabanna Light Blue Intense perfume which I have been lusting over for a while. We were out shopping when I seen it and I also saw these gorgeous black lace up ankle boots which were half price so he treated me to them. I also got this gorgeous Pinks Boutique's Face & Body Balm which apparently Lisa Armstrong uses on Strictly, my mum knows I loove make up and beauty so it's so nice that she reads up on the latest trends and gets me them lol. I am so incredibly grateful for all the gifts I received and can't wait to get using them. oh the Rainbow bathbomb is adorable! and that Vivienne Westwood necklace is gorgeous! I love everything VW! Oh so many amazing bits.. I love the jewellery! Ahh I can't wait to wear it i'm just so nervous i lose it!